Brigadier Anjum Shahab is an ex Defense Officer with over 33 years of distinguished military service. He was commissioned in ‘Corps of Signals’ in December 1975 from IMA, Dehradun and superannuated from military service in June 2008. While in Service, he was closely associated with ‘Capital Procurement’ for about six years firstly as Director WE-7 in Weapon and Equipment Directorate at Army HQ in 2001-04 and later as Deputy Director General, Military Intelligence from 2006 to 2008. For his outstanding performance in WE Directorate, he was awarded Vishisht Seva Medal (VSM). Post retirement, he has been associated with various Indian Companies helping them in doing business with MoD. 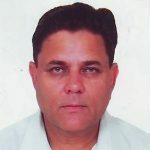 Presently he is working with Zen Technologies Limited, Hyderabad as their Vice President looking after their defence business at Delhi. Brig Shahab has been associated with Defense Procurement Procedure ever since first version of DPP came out in 2001. He has endeavored to keep himself abreast with various changes in policies and procedures ever since. Because of his interest & experience in defence procurement, he has acquired thorough knowledge & understanding of Procurement Procedures. Through Industry chambers, he is contributing his bit for improvement of Defense procurement Procedures. He holds Post Graduate Degree in Physics (Electronics) & in Defense Studies. He also holds Post Graduate Diploma in Software Technology and System Administration.